Renovating/extending your home or building a brand new home? BestTermitesControl is qualified to install both physical and chemical Termite Prevention barriers including Biflex Aqua Max and HomeGuard. Are you renovating ,extending your home or building a brand new home? Whichever maybe the case, the sensible and most cost effective way is to install termite prevention options. We recommend that you should certainly consider a Physical Termite Protection and or Chemical Termite Protection treatment to your home. Doing this will save you the need to chemically treat the house against termite infestation later on. 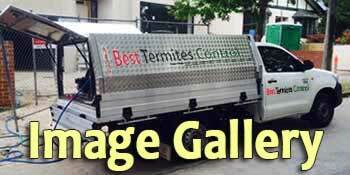 Best Termites Control is accredited registered installer of HomeGuard Termite Barrier, and listed on the HomeGuard website as the professional termite protection service provider in Victoria and Melbourne. In the early stages of building, before pouring concrete and laying flooring on stumps, a termite barrier should be installed in accordance with AS 3660.1 using approved termite barrier systems. Best Termites Control is qualified to install both physical and chemical barriers including Biflex Aqua Max and HomeGuard. 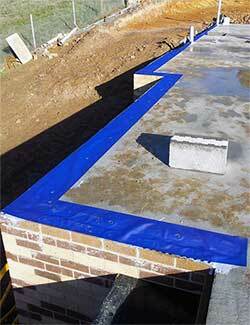 Part A & Part b can be either physical or chemical treatment before concreting is done. Best Termites Control uses the best available termites control products for pre-construction termites protection or homes termites control. Best Termites Control is qualified to use and install Termidor products. Termidor revolutionised termite control when it was launched onto the Australian market over 10 years ago. Since then, close to 200,000 satisfied home owners have Termidor to thank for protecting their homes from termites. Termidor provides proven protection against all subterranean termite entry and will continue to control termites for at least 8 years throughout the entire country. For more details read this document.